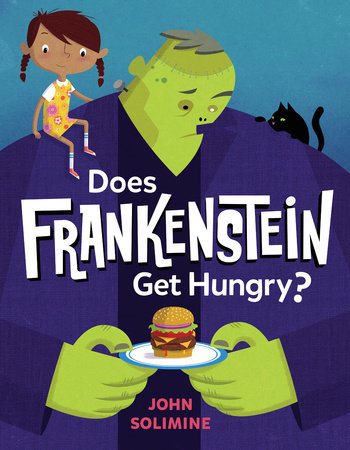 A RUP LIFE: Does Frankenstein Get Hungry? Review & Giveaway! Does Frankenstein Get Hungry? Review & Giveaway! Halloween is almost here and it is time to talk about all the things that go bump in the night! Ghost, Frankenstein, witches, werewolves and so many more are featured in this adorable themed rhyming book. In Does Frankenstein Get Hungry? each creature gets their own spread with wonderful illustrations perfect for this season! My son loves the scary and he loved this book. He is 8 and doesn't scare easy but honestly this book light and sweet and talks about fearing the things in the night. This one was a hit for us! With each inquiry, the little girl’s confidence grows–proving monsters are no match for her imagination! From debut talent John Solimine, this laugh-out-loud picture book has all the silly and gentle reassurance kids need for a good night’s sleep. One lucky reader will win a copy of Does Frankenstein Get Hungry?